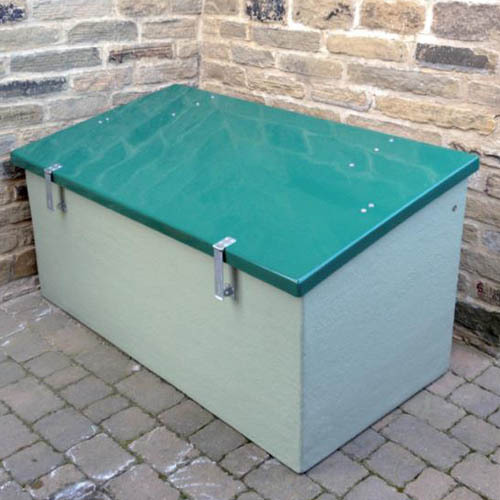 The 980 litre glass fibre composite storage unit is manufactured from high impact strength glass fibre composite (GFC) which is unaffected by extreme temperatures or salt water so will therefore not corrode if located next to the sea. Added to this 65% of the materials construction comes from renewable sources, making it environmentally friendly. 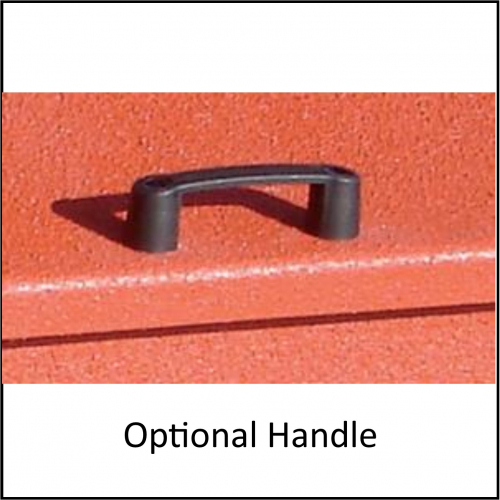 Specially designed for garden storage, with a water proof rubber seal, two gas struts for ease of opening/closing and two hasp and staples for security purposes. Wipe-clean lid as standard, allowing for easy cleaning. The main image shows the optional hasp and staple (padlock not included) and customer specific vinyl stickers. 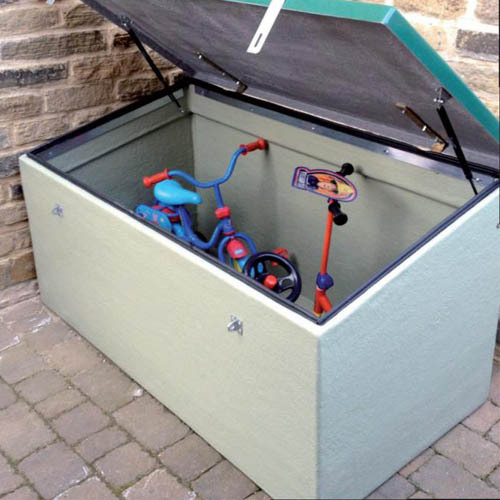 Supplied in smooth green finish lid and a dove grey body as standard.